Please do not edit this page without our permission. Delhi , officially the National Capital Territory of Delhi, is the Capital territory of India. Currently, it has a population of about 11 million and a metropolitan population of about 16.3 million, making it the second most populous city in India. Mozilla Delhi is one of the active communities of Mozilla in India. 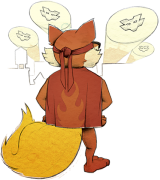 It is a non profit, volunteer run community comprising of enthusiastic Mozillians, who are developers,thinkers,innovators,pioneers,photographers,designers and FSAs(Firefox Student Ambassador). This community is comprised of bunch of Technical and Non-technical contributors who are working together towards making a better Web and solely involved in mission of making the web accessible to everyone. Mozilla Delhi is an old community of India but it was revamped again in 2014 by the presence of Mozpacers in Delhi . Mozpacers started forming several communication channels in Delhi so that they can find interested people in and around Delhi/NCR, who are willing to contribute in various Mozilla Projects. Currently, the community is growing at a very fast rate as more contributors are joining the communirty ,on the basis of their interests and their credibility. Mozpacers , as the name suggests, means bringing pace to the Mozilla Community by doing a splendid amount of contribution. The group was initially formed in Jan 2014 with three Mozillians Anup Mishra, Ajay Kumar and Bhuvnesh Dogra but now, there are several contributors of Mozpacers spread across several parts of North India like Punjab , Delhi NCR , Himachal Pradesh , UP and Uttarakhand. Mozpacers have organized events in these areas and formed Mozilla Community in the respective states and are continuously working with them remotely so that they can contribute without any hurdles. At present Mozpacers are very active in Delhi/NCR . Mozpacers consists of more than 40 active members as of now, who are working to spread the word about Mozilla and it's mission. In short " Mozpacers refers to a group of people who are working to build a better web by contributing into various projects of Mozilla and making magnificient efforts to support the Mozilla's mission.They are spreading the web literacy and motivating people to use the web they want. The group consists of a mixture of people from Corporate and students , whose vision is to help create a better web where privacy of a person is never compromised and where principal is always ahead of profits. The main mission of the Mozilla is to make web accessible to everyone.We believe in the notion that Internet is for the people,by the people and of the people. 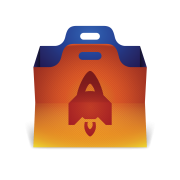 The aim of the Mozilla is to promote Open Source and Open Source Web Technologies. So, the active Mozpacers are working effectively to raise awareness in educational institutions,government organisations and corporate companies about the web. They are working on their well defined goals to reach the end users to guide them about the projects.The existing open source projects along with new innovative ideas can also be associated with the Mozilla's projects. So, the community organizes various educational campaigns,events,share the resources and knowledge and the idea of open source with various people from differential background to make it very clear that Internet is the sole right of every individual. If you also believe in the Mozilla's mission and do care of web and love Mozilla,feel free to join the Mozpacers Community in Delhi!! Meaning of this logo :- Lotus Temple is the epitome of communal harmony in Delhi, where each and every individual is welcomed, irrespective of caste , creed and religion.The lotus flower, moreover,has been used as a unifying symbol in all the Indian religions. Similarly, this logo denotes that any person from any background (technical or non-technical) or of any age group are welcomed and acknowledged to work for Mozilla Community in Delhi.They are always appreciated to join the community, keeping in mind the objective of Mozilla. Also, the projects the community works upon are the collective efforts of many contributors which binds them together and gives the strength to work together actively. Along with that , as Lotus Temple signifies the glory and pride of Delhi, similarly the torch bearers of Delhi Mozilla Community/ Mozpacers make the Delhi Community shine and proud by their consistent activities in the Mozillian sky. If you missed our past few events, don't worry we document it for you . You can find the discussion summary of our last few meetings here. We meet on bi weekly basis to discuss about the health of community . Most of the members are always available on slack all the time for any help. Mozpacers always welcomes everyone, who loves Mozilla and is passionate about web. you can easily join the community , following a few simple steps. Your name, profession(Student,employer,etc),company's name,your field of work as a professional. In short, do mention why do you want to join the community and also include how will you contribute. Mention your area of interests(coding,testing,documentation,speaking,designing,etc) and set your preferences accordingly. You can also be a part of the events organised by the community, on regular basis in the Delhi NCR region. For that, you need to contact the community, directly, through mails or various social networking sites. Hover over the projects and click on the project title to learn more about it and how you can get involved. We are thankful to our volunteers who are spreading the word about Mozilla Project and contributing into the various projects . To make everyone clear of their role and responsibilities our community has formed various Contributors Team as per the skills. Each Contributor Team has well defined objectives and goals which is helping spread the Mozilla Mission and Improving the whole community . Owner An owner owns the volunteer team . Any conflicts inside or outside the team has to be resolved by the owner. The team members must discuss among themselves but the final decision has to be communicated by the owner. An owner also acts as a bridge for the communication between two teams. Lead A lead is a splendid contributor of the team . He/She has a excellent knowledge about the subject and he knows the roadmap of the Project that team is working into . A lead also acts as a mentor and helps team members with their works and takes the decisions on the technical side after discussion with the team . A lead is a "Know it all " person . Core Contributors Core Contributors are group of volunteers who are consistent in their contribution and all the other team members can feel their equal presence in the projects. Intern A intern is the contributor who just joined the team or who is a contributor but not a consistent one. A lead decides when an intern should be shifted to Core Contributor and he/she helps him/her with the transition. Join our Slack group  here. Join our trello board and share the tasks here. Join our meetup group here. Mozilla Delhi is a group of open source contributors who represent Mozilla Foundation or Corporation in the Delhi NCR Region. To ensure compliance with policy trademarks of Mozilla Foundation, the following statement is made: The use of trademarks Mozilla, Firefox, Thunderbird, SeaMonkey, Sunbird, Camino, Bugzilla and other for Mozilla Foundation, and the use of the logos of Mozilla, Firefox and Thunderbird is done for the sole purpose of publicizing and promoting Mozilla products and explicitly recognizes that Mozilla Delhi does not own or have any rights to such trademarks or logos. It also states that, according to the information in the FAQ on Mozilla's trademarks (in English) , trademarks and logos mentioned in the previous section are the exclusive property of Mozilla Foundation. This page was last modified on 26 April 2016, at 21:00.